The Brain Tree Training Attention Module app (CRApp) is available for both iOS and Android devices, and is suitable for helping people with cognitive problems, specifically ATTENTION difficulties. The app is designed to guide you through the 4 aspects of Cognitive Rehabilitation Therapy for Attention. 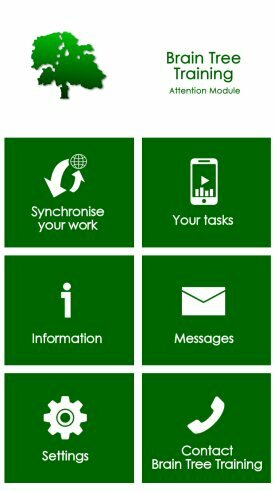 The app will assist in maximising attention skills.